Anyone deciding to purchase a lift-and-slide system is not just choosing an elegant option; they are also choosing a very modern option with excellent properties. The ingenious technique behind these doors leads to very good heat insulation values and even prevents mould effectively. 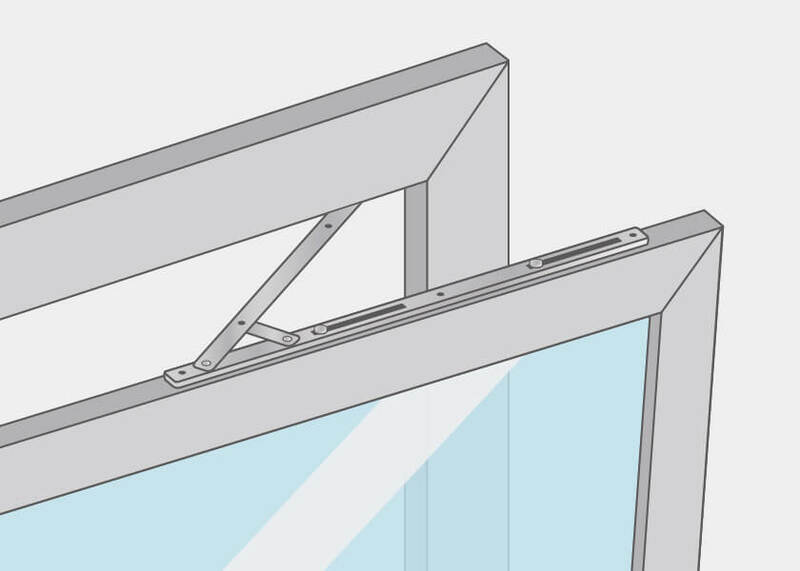 The right glazing even complements and supports the advantages of lift-and-slide doors. Aside from energy savings, one can also focus on security. There are several factors to take into account when buying the perfect lift-and-slide system. First you have to decide which material is most appropriate for the door, because it is crucial for the efficiency of the thermal insulation. You can choose between uPVC, aluminium, and wood – each of these materials have advantages and disadvantages. Windows24.com offers vinyl lift and slide doors that combine advanced technology with great material properties such as excellent energy efficiency, low maintenance, long term durability and being nearly 100% recyclable. 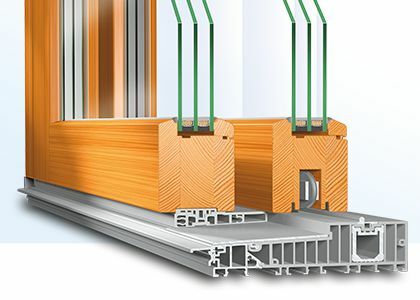 Our shop also offers wooden sliding systems, combining the newest insulating techniques and excellent material properties. You can choose from among several different systems. Aluminum clad sliding doors combine wood on the interior with a weather-proof and low maintenance aluminum shell on the exterior. Unlike in the case of the simple sliding version that is pushed from one side to the other along a rail, a lift-and-slide system is moved inside the frame itself on wheels. To open the door, the handle is turned in the respective position. This will lift the casement slightly allowing it to be moved aside. As lift and slide casements are often heavier than common sliding doors, these wheels simplify the opening and closing procedure and even give the impression that the door glides effortlessly. Opening and closing these types of doors is simple. Anyone at almost any age can operate them. 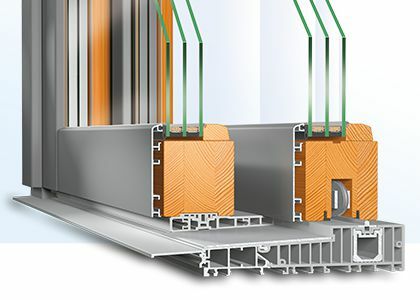 The technique behind the lifting action does not only look elegant, the open and close mechanisms provide an amount of impermeability to these doors as well. 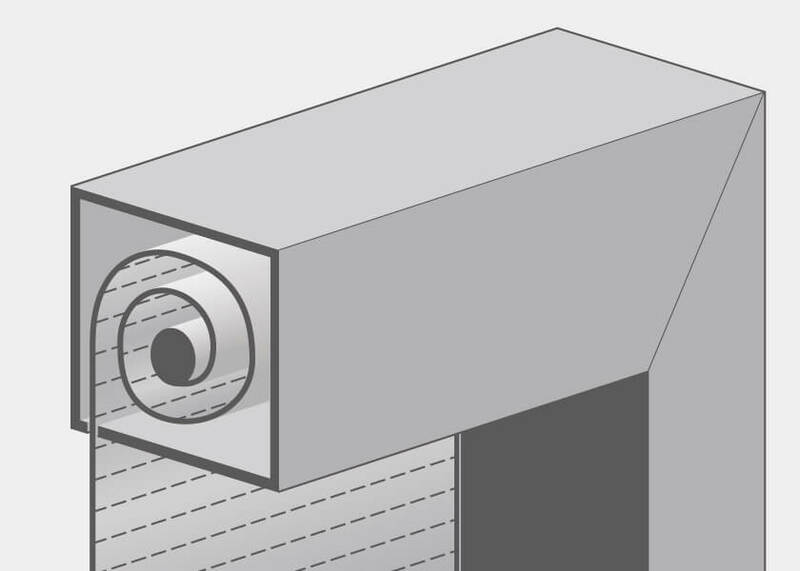 The casement does not only close via the guiding rail – it lowers the profile into the frame as well. 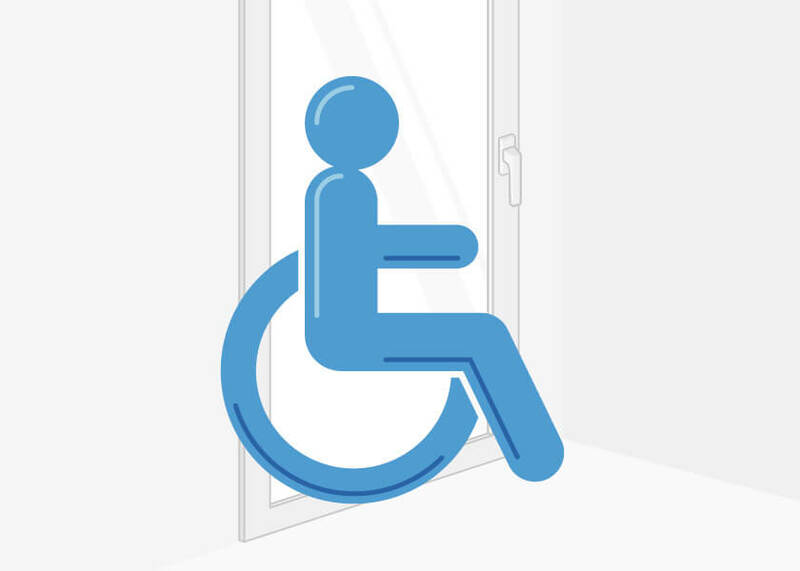 This makes lift-and-slide systems significantly denser than other doors and does not only protect from wind and weather but also provides a high thermal insulation value as well. This saves you money and protects the environment at the same time. Like any other door type, the lift-and-slide system consists of a frame and its respective filling. In the case of the sliding systems, the filling consists of the chosen glazing. This glazing can fulfil other tasks than just allowing a clear view. Depending on individual requirements, various types of glazing can provide different characteristics. After all parameters have been chosen, the door may be installed at its final location. Lift-and-slide doors are available in different materials. You can choose between wood, aluminium, and composite materials, which offer a combination of the most advantageous characteristics of the single materials. Composite frames provide the aesthetic of a wooden frame in the interior with an excellent air exchange and ensures a perfect thermal insulation. The outer aluminium shell on the other hand provides the necessary protection from rain and strong winds. Aluminium is furthermore a low maintenance material, allowing for low maintenance cleaning from dirt and traces of usage. Possible weather damages – which are commom with wooden frames - are no longer a problem with this material combination. Insulated glass clearly sets the focus on thermal insulation. Since the introduction of environmentally friendly policies and laws by various governments around the world, thermal insulation has become an important topic for all building owners. Windows and doors – especially front doors – need to be professionally insulated in order to avoid heat loss. This heat loss has a negative effect on the environment and over time, costs a lot of money. 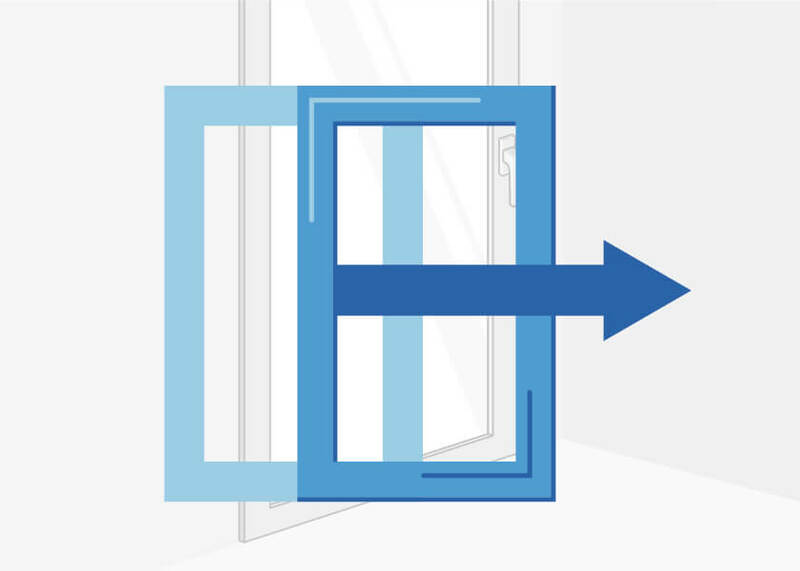 Insulated glass with multiple panes can have a significant impact on energy savings. The values for thermal insulation (e.g. the heat transition coefficient) are best achieved nowadays with triple pane glazing. Very efficient energy savings are possible with this type of glazing. 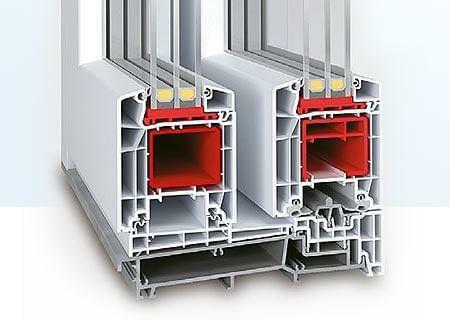 You can achieve excellent results, especially in combination with certain multi-chamber system uPVC frames. windows24.com. 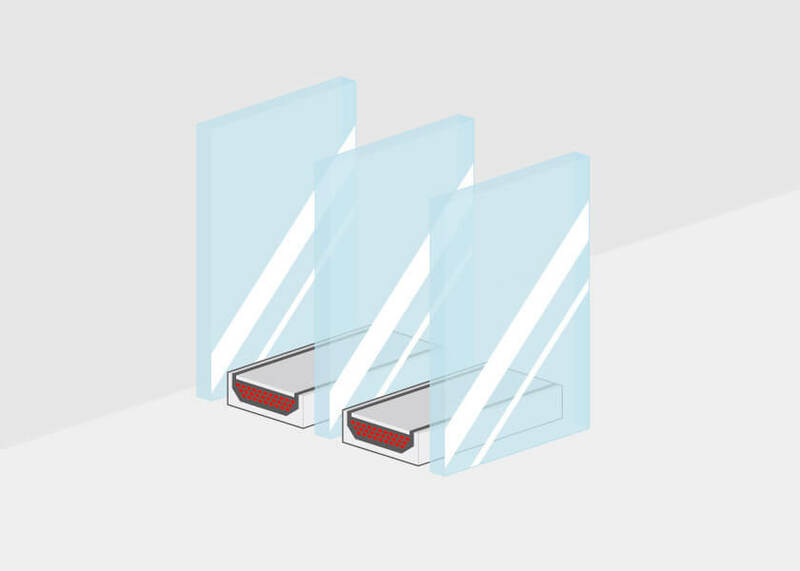 Acoustic insulation glass can be a very reasonable investment for lift-and-slide doors as well. As they are generally thicker than other balcony doors, they already offer a better acoustic insulation than common models. Lift-and-slide doors in combination with acoustic insulated glass allow for perfect protection against noises. Depending on the expected noise pollution, acoustic insulated glass is divided into three different classes. Houses that are located directly next to heavily frequented roads need a better acoustic insulation than those in a quieter environment. The highest possible sound protection insulates around 43 decibel. This means that arriving sound is insulated by this value. In comparison- a reduction of 10 decibel is already halving the noise that is perceived by humans. If the focus is clearly on security, windows24.com recommends safety glass. This category also includes a large variety of products, offering different services for certain situations. You can select between tempered, laminated safety and impact resistant glazing. As tempered safety glass will shatter into small fragments, it significantly reduces the risk of injuries, whereas laminated safety glass offers excellent burglary protection. 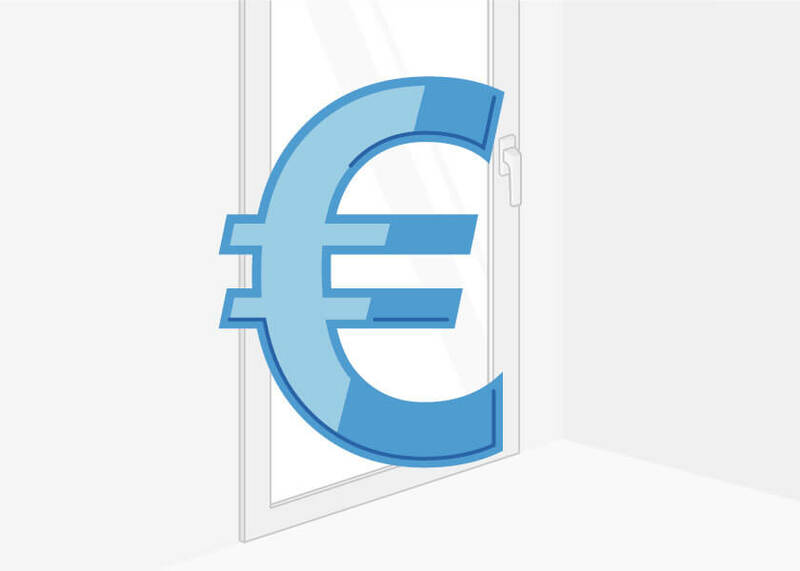 A special foil is inserted in the space between the panes using pressure and heat, preventing unwanted guests from entering. It is then not just the glazing that has to be destroyed, but also the elastic foil. Laminated safety glass lowers the risk of injury as well, as it will also shatter into small fragments. The impact resistant glazing offers the best burglary protection for sliding doors – but also for other windows and doors. They are available up to category A3 and guarantee excellent protection against burglaries. 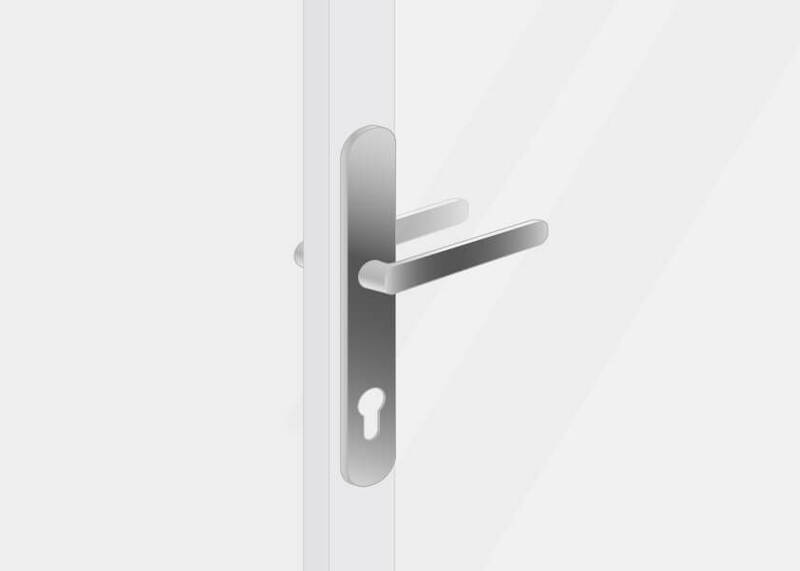 In order to further improve the protection of the sliding door, the use of appropriate security fittings is recommended. The fittings in combination with a robust frame and proper glazing provide great burglary protection. 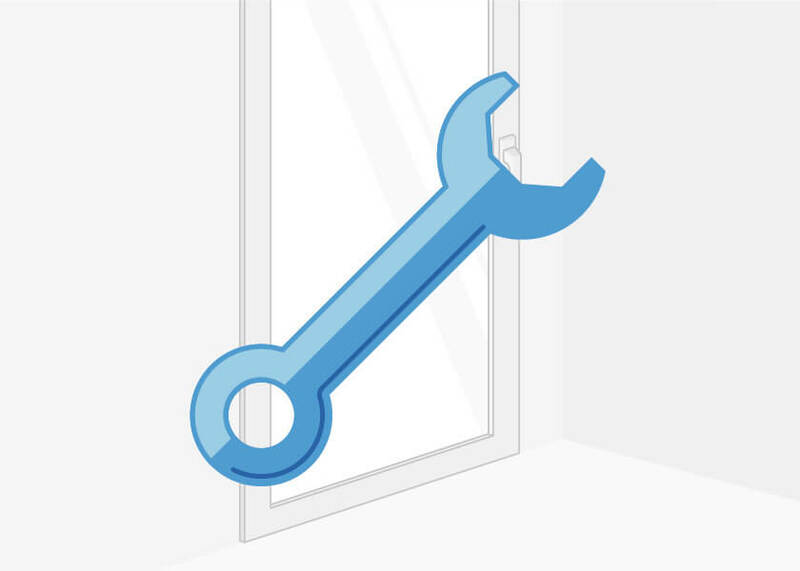 Due to the size of sliding systems, windows24.com recommends considering professional door fitters for the installation. They will install it in accordance to the regulations and guarantee that seals work and that the reveal is perfectly insulated. This is the only way to take full advantage of the thermal insulating properties. An incorrect installation can cause thermal bridges, which cannot only prevent the saving of energy, in worst-case situations they can lead to mould in the generated condensate. This is very dangerous to your health and can furthermore enter the masonry. Removing mould afterwards is a time and cost intensive procedure, which should definitely be avoided. It is therefore important to install the system properly. In comparison to common balcony doors, lift-and-slide doors offer many more advantages. For example, the sliding mechanism allows for a space-saving opening movement. The space in front and behind can be optimally used, because you do not have to consider the moving direction of the casement. Large glass surfaces are no problem for lift-and-slide doors. These surfaces are modern and elegant and allow more daylight to enter the room than small balcony doors. Rooms will appear more friendly and welcoming and you can save costs for artificial light. Natural light is warmer than artificial light and can even be used to save energy in autumn and winter. This will not only lead to savings in energy and costs, it will also have a positive effect on the living atmosphere in the house. When you decide to install a lift-and-slide door, you opt for a modern product using advanced technology. It will meet the highest demands of quality and design, according to the newest regulations, exceeding your expectations and creating a comfortable and welcoming ambience in the home.